The history of the hoverboard is rife with patent wars, companies suing each other over who invented it first, and poorly made copycats that caught on fire. US entrepreneur Shane Chen was the first to file a patent for a “two-wheel, self-balancing vehicle” for his company Inventist in 2013, and now he’s announcing another invention called the Hoverwheel. 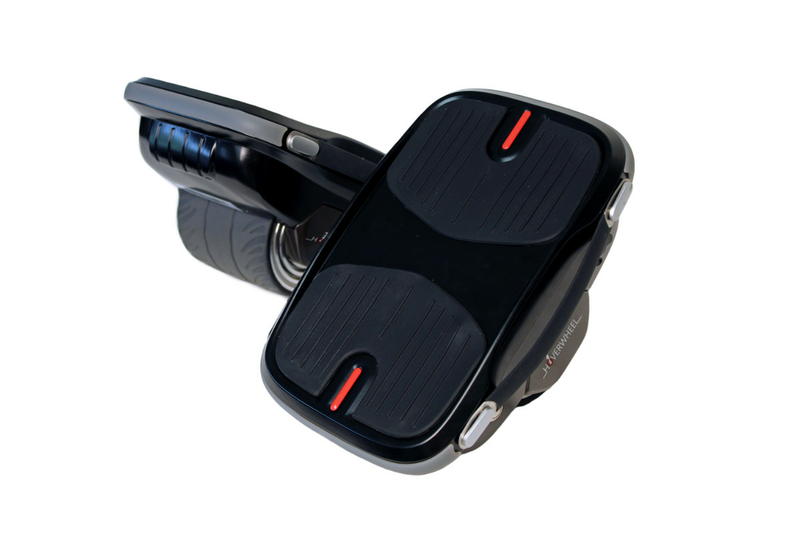 The Hoverwheel works like a pair of e-skates, with each foot sitting on top of a self-balancing wheel. It uses the same electrical motor as Inventist’s Hovertrax design, and is currently patent pending. It’s got a top speed of 7.5 mph, with a maximum range of seven miles. It also looks a lot like Segway’s $399 e-skates, the Drift W1, which recently debuted at IFA. No price is mentioned yet for the Hoverwheel, which is expected to be released by the end of the year. This might stir up some more drama between the two companies, which are already in the midst of a legal battle. Segway sued Inventist in 2015 for violating a number of its patents, including “balancing vehicles and methods for transporting individuals over ground.” Meanwhile, Inventist is no stranger to suing its own imitators. Following a patent agreement with Razor which gave the company the exclusive right to sell hoverboards in the US, the two entities have taken on knockoff hoverboard makers like Swagway and IO Hawk. All these lawsuits over a fun fad meant to take us from point A to point B! Has someone let these companies know that hoverboards are so over, no matter what shape or form they come in now? We ride dockless e-scooters now, and leave them strewn about on the streets, like normal people. Please get with the times.